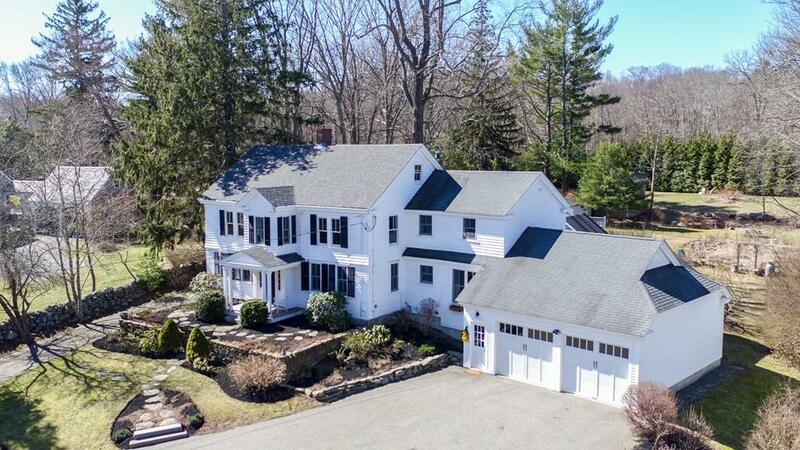 "Between Two Villages in a World of Its Own" - This Remarkable Antique Colonial, w/ seasonal Gulph River marsh views, offers an easy walk to Cohasset & N Scituate Villages & a Boston commuter rail station. With 1.9 private acres of lawn, gardens, stone terrace, 2 story barn, artistâs studio, shade & fruit trees & a koi pond, the enchanting setting reminds one of days gone by. This country house has enjoyed many renovations/enhancements over the years including a major addition built in 2006 resulting in a pleasing mix of large scale rooms & intimate spaces that sport great versatility in living style options. Featuring an entertainment size country kitchen, fireplaced library/living & family rooms, formal dining, 3-season sunroom, office/studio, media room, 4 BRs & 3 full BAs upstairs including master suite plus a main level BR & full BA wing, a 2 car garage w/ work area & a newer septic. Perhaps room for tennis court or pool. It's Eclectic & Unpretentious AND Maybe Just Right for You!